The gloom gripping South African economy appears to be spilling over into the banking industry as earnings report for quarter two of one of its largest lender fell following the country entering into recession in the first quarter of 2017. Barclays Africa Group Limited’s income report for the second quarter ended June indicates that total income declined for the first time in years, delivering further evidence that South Africa’s economy won’t be climbing out of the doldrums anytime soon. “The Johannesburg-based lender kicked off the earnings reporting season for South Africa’s banks with a decline in total first-half income, the first interim contraction since Maria Ramos took over as chief executive officer in 2009,” reports Bloomberg, adding that impairments and rest of Africa operations became the bank’s saving grace. A 27 percent improvement in impairments following credit losses from two large corporate clients the previous year and 19 percent growth in profit from its African businesses helped boost earnings. The lender reported a 7 percent increase in normalized EPS excluding one-time items to 9.18 rand, beating the 8.80 rand median estimate of four analysts. The bank’s stock dropped on Friday, leading declines on the six-member FTSE/JSE Africa Banks Index and extending its losses this year to 14 percent. 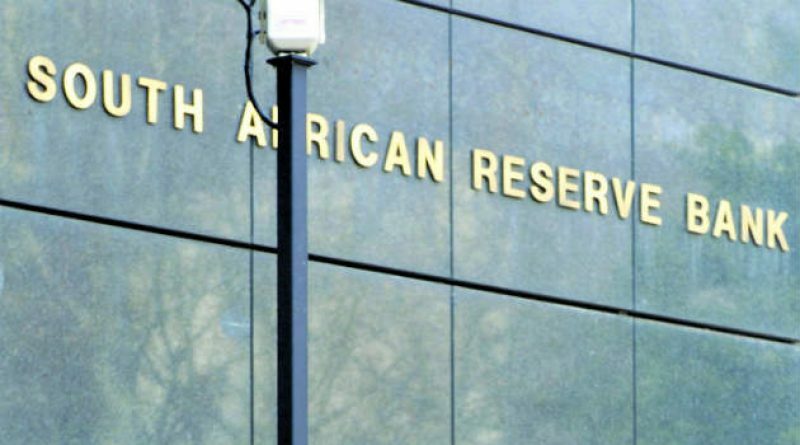 The strain of South Africa’s economic contraction also showed in the 10 percent decrease in earnings excluding one-time items at the bank’s main South African consumer unit in the six months through June as lending at its mortgage and credit card businesses shrank. Income from fees on transactions and commissions and deposits dropped 14 percent, while costs increased faster than revenue. Its Johannesburg-based peer, Nedbank Group Ltd., reports first-half earnings on Monday. Henry Hall, a banks analyst at HSBC Holdings Plc in Johannesburg, said in a note on Friday, adding that the lender, controlled by London-based Old Mutual Plc, will report 2 percent growth in earnings per share before one-time items. A 25 basis-point reduction in interest rates last week will also be “slightly negative” for South African banks, Harry Botha, an analyst at Avior Capital Markets, said in a note, adding that Barclays Africa hedges most of its short-term interest rate exposure so it’s probably in the best position followed by Standard Bank Group Ltd.
South Africa slumped into a recession in the first quarter after all but two industries shrank amid continued political wrangling and policy uncertainty. Barclays Africa’s South African banking operations account for 74 percent of normalized earnings before one-time items. The country’s foreign-currency debt was downgraded to junk in April after President Jacob Zuma fired his respected finance minister and replaced him with someone who has no financial experience. Unemployment is also at a 14-year high as the governing African National Congress prepares to pick a new party president at the end of the year.